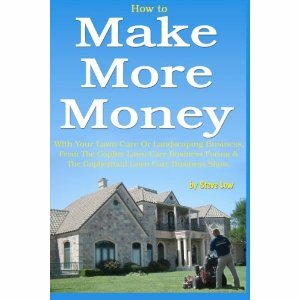 Would you let a homeowner help you with a landscape project? How to use a box blade and landscape rake to install a new lawn. 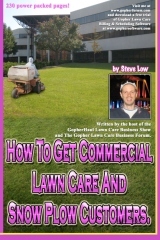 Lawn rolling service tips and suggestions. 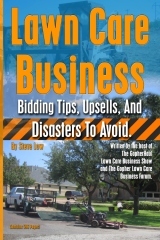 How to bid & mow lawns with steep inclines. 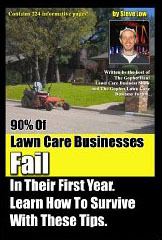 Secrets to success with lawn care ads in newspapers. How many snow plow customers can 1 man handle? How to bid a gravel driveway regrading job. 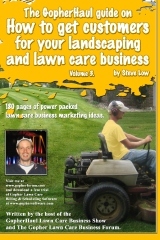 Is your lawn care business overlooking great opportunities? How a driveway regrading job led to a lot more work. 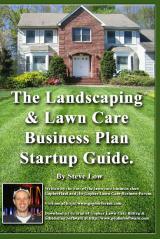 Why lawn care employees leave to start their own company. Sometimes you just gotta call it a day. 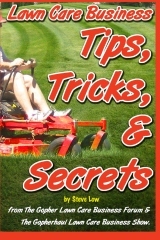 When to switch from a walk behind to a riding lawn mower? Should I start with a lawn mower or a tractor? Why a tractor is better at snow plowing than a truck. 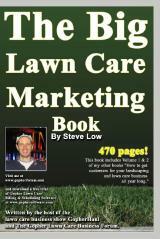 Lawn care bid example: Two acres of grass, two feet tall. 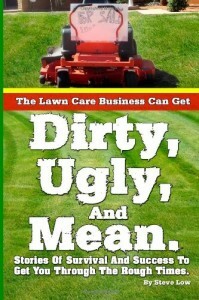 Lawn care equipment needed for startups. 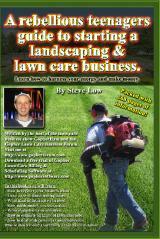 A great way to find low cost lawn care equipment. 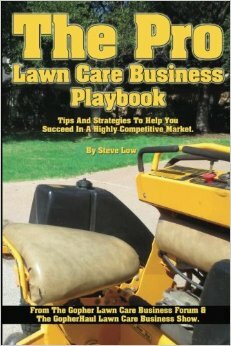 How to use and market tractor services for your lawn care business. 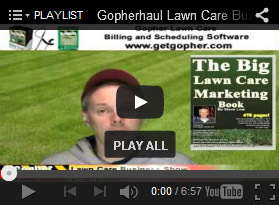 Septic system upsells a lawn care business can offer. Should I buy a used mower on craigslist? John Deere X749 tractor vs. a ZTR mower.